Tantrwm utilise robotic cameras in many of our live stream solutions. We use the amazing Panasonic AW-HE130 and the AW-HE40 cameras along with their associated controllers. The discrete nature of these PTZ (pan/tilt/zoom) means we can place the cameras on stages, suspended from false ceilings or truss, on a podium and even on a table. The cameras take up little space and only need one operator per 3 to 5 cameras (comfortably), which means cost savings for you on staffing and also allows you more room to add more delegates. The robotic cameras also look more appealing than tripods and cameramen placed in a room. All our flyaway cases come with associated cabling, encoders, laptops, converters and skilled staff who know how to integrate with networks. We use Blackmagic Designs vision mixing for 90% of our work but occasionally we implement a Roland or Datavideo system. Tantrwm Digital Media have in stock and ready for immediate deployment, six live streaming configurations. Each one is flight cased and depending on your requirement, can take between 4 and 16 camera inputs. 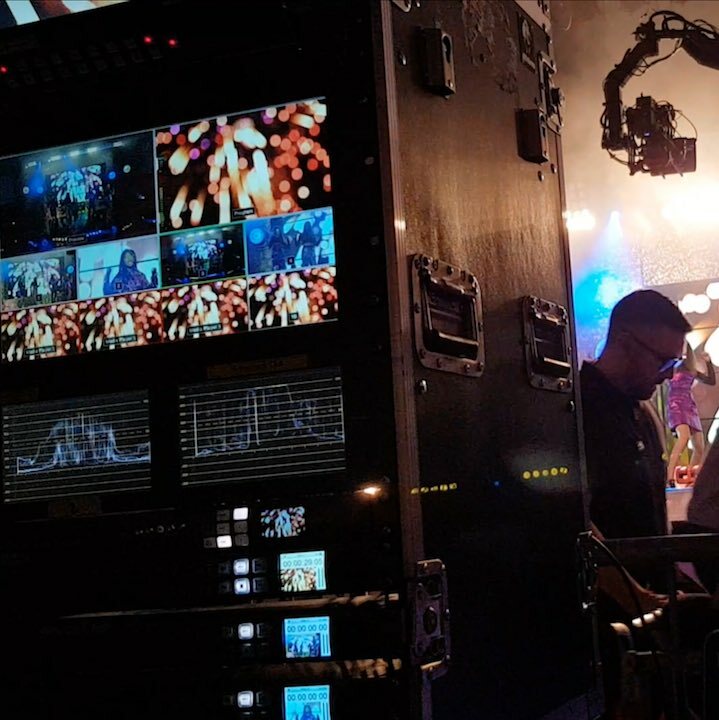 All cameras can be recorded independently along with a vision mix of the whole event. Live streaming at this level can become quite technical, but we can help. Tantrwm Digital Media have been implementing systems and supporting customers across the UK for over a decade, so why not benefit from our experience and expertise.